A potential 2016 presidential candidate adds a moral message—and tone—to discourse. Martin O’Malley is speaking about immigration policy in smart, reasonable and moral terms. This distinguishes the two-term governor of Maryland and potential 2016 presidential contender from most politicians these days. O’Malley’s approach is not a radical one. But his emphasis on fairness and human dignity, as opposed to predictable political positioning, is refreshing. And the governor’s fellow Democrats would be wise to consider the wisdom not just of his words but of the tone in which he is speaking. O’Malley does not deny the serious practical and political challenges that have arisen as thousands of children from Central America have crossed into the United States in recent months. 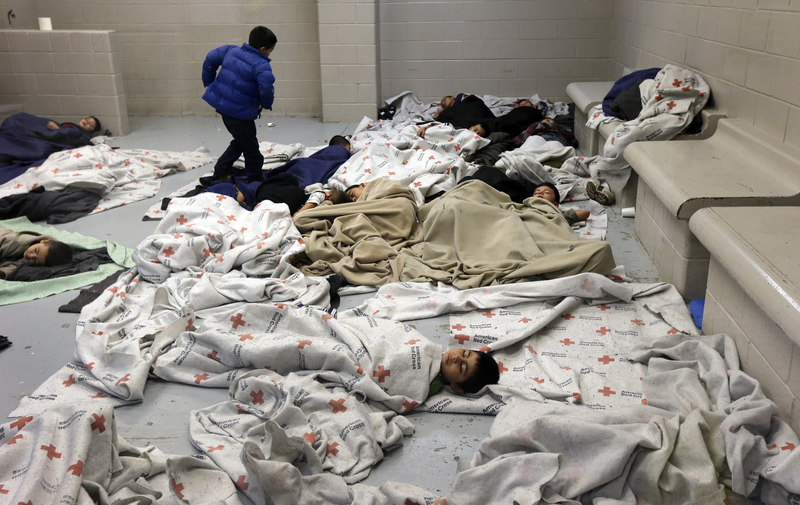 He know that there are a lot of issues to be resolved with regard to the particular circumstances of these children—and with regard to broader need to reform an ill-defined and frequently dysfunctional approach by the United States to immigration policy. But the children who have entered the United States are children. They come, in many instances, as desperate refugees fleeing extreme violence, poverty and dislocation in countries where the social fabric is rapidly fraying because of destructive globalization schemes, corruption and a horrific maldistribution of wealth. The reality of why immigrants flee their own lands must, by legal and ethical standards, be taken into consideration. So O’Malley has broken with prominent members of his own party—and with Republicans who, like Arizona Senator John McCain, propose to deport “planeloads of these young people”—to say that the response to the plight of the children must be a humane and knowing one. The governor remarks drew immediate criticism from conservatives who make little secret of their determination to politicize border issues. The Republican-linked group America Rising portrayed O’Malley’s position as a left-wing stance—a “hit from the left” at former Secretary of State Hillary Clinton, the leader in 2016 Democratic presidential polls. But O’Malley’s response is grounded not in the language of left or right, or even of predictable political positioning. Instead, he is placing the debate in a moral, and American historical, context. In media interviews over the weekend, the governor calmly explained, “I believe that it is contrary to everything that we stand for as a people to try to summarily send [refugees] back to death, whether it’s in famine; death whether it’s in the middle of the ocean; death whether it’s in a war torn area or death in a place where gangs are the greatest threat to stability and the rule of law and democratic institutions in this hemisphere." O’Malley argues that legal representatives of the children and family members should be afforded an opportunity to challenge the threat of deportation. “They should have their ability to make their case for protection and asylum in the United States,” explains the governor. The back-and-forth provided a reminder that any serious immigration debate is more nuanced than the headlines suggest. But the broader point ought not be missed. By speaking in humanitarian terms, O’Malley is helping to reframe the discussion, and forcing fellow Democrats to clarify their positions. This is not the first time that O’Malley has spoken up for immigrants. Indeed, his record provides an indication that when a Democrat offers a humane and thoughtful response to immigration issues, voters respond positively. When he was running for re-election in 2010, O’Malley defended immigrants as “new Americans”—a reference that was seized on by his Republican opponent. But even in that “Republican wave” year, the governor was easily re-elected. Against a popular and well-financed Republican, former Governor Robert Ehrlich, the Democrat won 56 percent of the vote. In 2011, O’Malley signed state “DREAM Act” legislation, opening access to in-state tuition at state colleges for many children of immigrants who has arrived in the United States without documentation. That created an outcry and a Republican legislator led a drive to force a statewide referendum vote on the issue in 2012. The emphasis on “fairness and basic human dignity” was spot on. The pro–DREAM Act campaign adopted the slogan “It’s Right and It’s Fair.” Maryland voters agreed. On November 6, 2012, they decided by a 59-41 margin to keep the DREAM Act that O’Malley and the coalition had championed.